The roars didn’t let up when, just after crossing the finish line Farah prostrated himself in the ritual sajdah on the track facing Mecca. 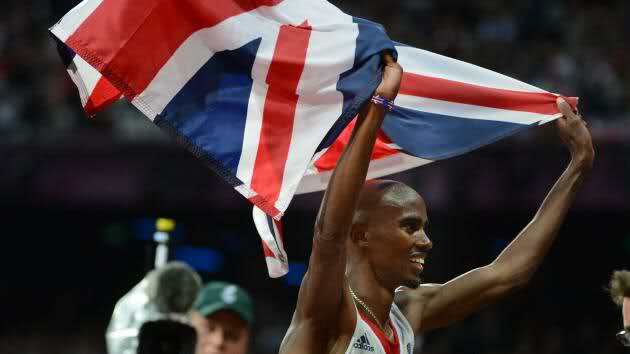 Nor did they diminish when he wrapped the Union Jack around his shoulders and took a victory lap around the track. Hooray for Farah, hooray for Great Britain, and a last hooray for the London Olympics. This entry was posted on August 14, 2012 at 5:41 pm and is filed under Ethics-general, Immigration, Religion, Tolerance. You can follow any responses to this entry through the RSS 2.0 feed. You can leave a response, or trackback from your own site.